Your kids are definitely important aspects of your life, and it is essential that you ensure that they are getting all the attention and care that they need. Apart from stuff like nanny cam and nanny cam with audio that will enable their safety, it is also right that you get tools that will help your children develop their minds. Apart from being a function of the mind, creativity also has quite a lot to do with the hands. Most times, the hands are tasked with portraying what the mind thinks. A doodle ad makes this possible by providing a platform for a child to be able to draw and develop images and structures. These drawings might not especially look like much, but the process through which creativity develops can sometimes be a long one. All the child needs is time, and you can rest assured that this creativity that is inherent in the child will definitely find meaningful and valuable expression. Creativity is never a one-way thing. There are mistakes to be made, and there are lessons to be learned this is one thing that a doodle pad and a 3G watch will be able to teach your child. Write, sketch or scan your documents into Notes on your iPhone and sync them into your InkCase. Have an Important Meeting to attend? Make sure you have everything with you and don’t leave any details out with the InkCase. Lock your note on the InkCase and stay reminded. During meeting, use the InkCase to go through the details and avoid distractions from your phone’s notifications! Moreover, the InkCase comes with E-ink technology screen so you can read your notes without straining your eyes. Do you have a stack of notes to read? Scan them into your iPhone and sync to your InkCase. This way, you can read your notes on the InkCase for a longer period without straining your eyes. Just like reading on paper. You can now minimize the weight and items you must bring out every day. Keep all your notes on InkCase! Electronic Ink also known as E Ink utilizes the same pigments used in the printing industry. When laminated with plastic and adhered to electronics, it creates an Electronic Paper Display (EPD). There are millions of microcapsules which contains positively charged white particles and negatively charged particles, suspended in clear fluid. When a positive or negative electric field is being applied, the corresponding particles move to the top of the microcapsule where it becomes visible. This make the surface appear black or white at that spot. As the Original Maker of InkCase, we want to hear from you to make it better. Stay tune with us on our Facebook Page for updates on our feature developments. Make sure your InkCase is up-to-date here. Look out for the latest update of the InkCase APP here. You found this article but you don’t have an InkCase yet, we invite you to visit the presentation page. This function automatically curate and push articles to the InkCase based on your interests. We have designed a smart algorithm which learns from your interaction with the InkCase. Instead of browsing and searching for news, you can now receive daily news pushed directly to the InkCase. It can be a hassle to search for something you want to read due to the distractions caused by the sheer number of news published each day. Therefore, our engineers worked towards a solution to keep you updated with news that relates to you. You can now express your interests by pushing the like button on each news articles or dislike the news that is pushed to you. The InkCase will further personalize and streamline the news that are recommended for you relating to your interests. You can customize your feed according to how much time you want to spend reading news for the day. InkCase will provide you the news that you are interested in according to your chosen time, from 30 minutes onwards up to 2 hours or more. For example, InkCase can push 30 minutes (based on reading time) worth of news to you for your 30 minutes morning commute. We are thankful for your feedbacks to perfect our InkCase. 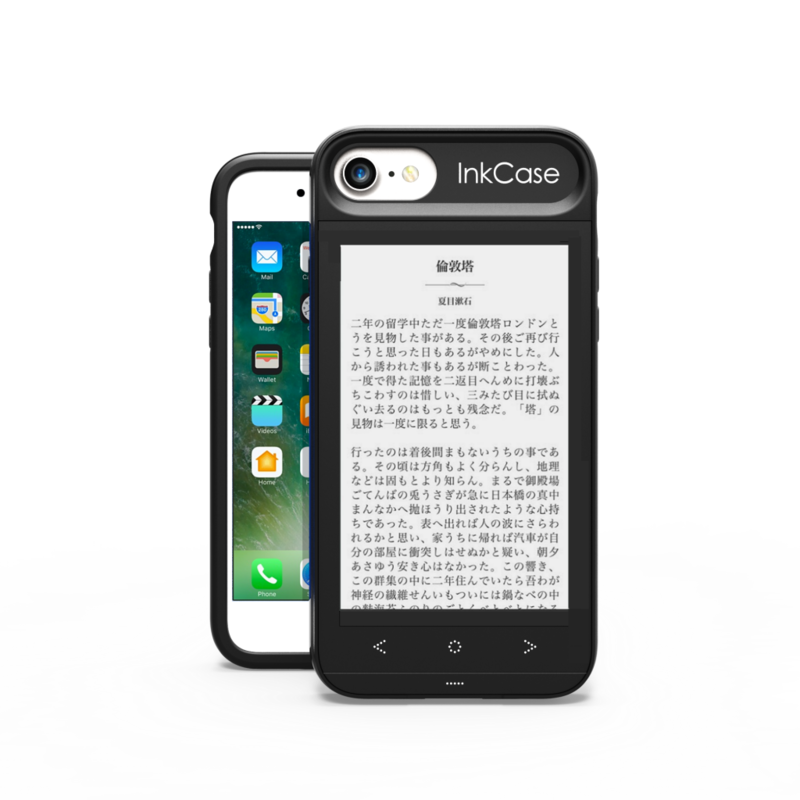 You can now enjoy Chinese and Japanese Push News with the InkCase. Note: You just have to change the language settings in the InkCase APP. At the top of the device, words were cut: this page-break bug was a priority to fix. We have upgraded our InkCase so that you can have the best reading experience. As before, you can use our convenient page turn buttons on the bottom of the InkCase to switch between pages. The display of eBook contents has requirements beyond that of a traditional web browser which is HTML based. This means that scrolling of pages has already been optimized. On the other hand, the InkCase being the first of its kind, requires proprietary R&D to perfect the page-break pagination bug. 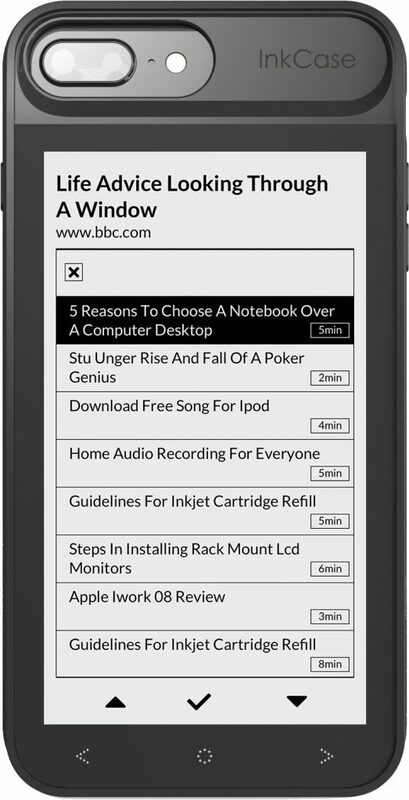 Unlike the web browser where it is scrollable, the InkCase reader is paginated and allows for continuous reading. Previously, our InkCase users were faced with the ‘page-break’ bug where pages overflow to the next page and lines were being cut-off. We thank everyone for reporting the bug and giving your feedback on the issue. Our engineers had fixe the bug and we truly hope you continue to enjoy your reading experience with InkCase. Follow us on our Facebook for latest updates on new products, news and don’t miss out on our promotions. Your voice is our vision, we want InkCase to be the best for you. Re-use your ‘notebook’ over and over again with the reMarkable! The digital age is a conundrum of tradition and progress. We constantly seek out new technologies to make our environment paperless but yet feel the magnetic pull of the pen and paper. This conflict between digital and analogue may have a resolution in reMarkable – an E Ink Tablet users can write on. The reMarkable tablet delivers the experience of reading and writing on a 10.3 inch digital screen with the feel of authentic paper. The company emphasizes the ultra high friction materials used for the screen to mimic the sensation of actual paper. CANVAS, the proprietary low-latency technology utilised, also provides a faster refresh rate and over 1000 levels of pressure. This helps mitigates the notoriously slow refresh rate of e-paper. Unlike most tablets, the reMarkable is intentionally designed to be minimalist. It can only display ebooks and documents while allowing users to scribble as they will on the content displayed. With a sleek exterior, it is sure to be a hit with students as a replacement for the heavy textbooks and notebooks they need! 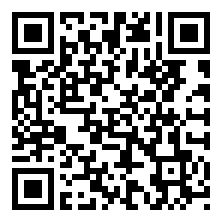 Furthermore, all of your notes and drawings can be synced to the cloud service and be accessed on your mobile devices. Wi-Fi connectivity also makes it easy to collaborate with others on the reMarkable. 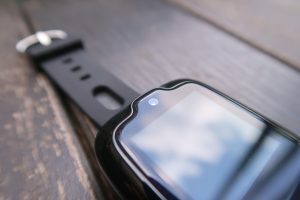 The lack of glass parts ensures that the reMarkable is a rather sturdy device, able to withstand drops. The device is able to last for days on a single charge thanks to the extremely low power consumption of the E Ink display. InkCase also makes use of this particular characteristic of E Ink to enhance its functionality. It adds a secondary screen to the back of your iPhone, allowing you to read anywhere, any time. Keep your favourite books in your pocket! While the reMarkable is indeed remarkable, it comes at a comparatively steep price. Preorders are available for $379 currently. A complete set of the tablet, pen and folio case will cost $716. Onyx Boox Typewriter may be the next game-changer. Nowadays mobile device hybrids are all the range as firms come up with all sorts of interesting combinations. One such example is Oaxis’ InkCase which transforms your iPhone into an e-reader. 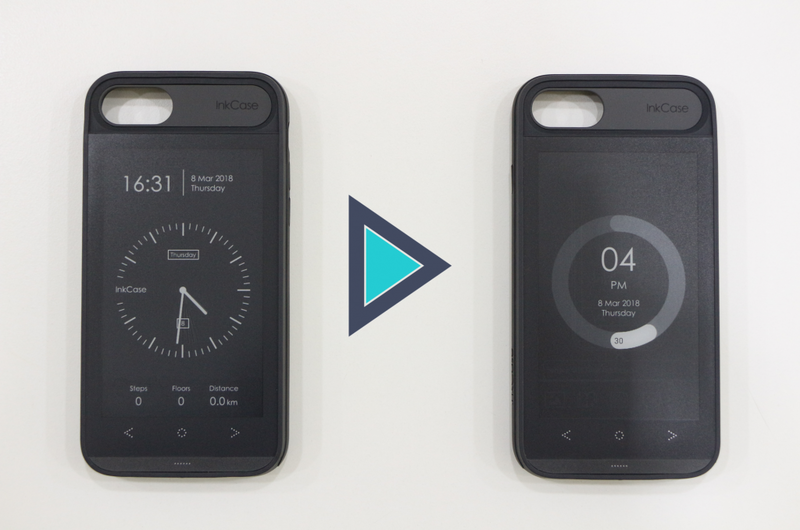 It adds a second screen to the back of your phone, allowing you to read anywhere, any time. Never forget another errand again with Inkcase! Thanks to this trend, E Ink has gained more interest as companies try to improve their products in terms of power consumption, speed and functionality. In fact, just recently Onyx International has revealed a rather interesting prototype – its Onyx Boox Typewriter which is essentially a 2-in-1 E Ink laptop. Yup, you read that right. Onyx has managed to combine an E Ink display with a full fledged laptop, not merely a tablet! So what’s the big deal with E Ink screens? Well, not only do they consume much less power than LCD and AMOLED screens, they are also much gentler on our eyes. One charge can last a typical e-reader for weeks! However, E Ink screens are also more limited in terms of video playback, colour display and the refresh rate. This has as such limited the usage of E Ink to e-readers mostly. Onyx however, thinks that the Onyx Boox Typewriter may just be the gamechanger. The Boox Typewriter is actually a rather unconventional Android device. It uses a old 1GHz Cortex-A9 processor with 1 GB of RAM and 16 GB of storage. The device also runs the older Android 4.0 version. Unlike your usual e-readers, the Onyx Boox Typewriter has a metal body and hence looks and even feels like your average 2-in-1 detachable laptop. The most notable difference is that the Boox has a 9.7-inch 1280×825 E Ink display. This allows the Boox to be used as an e-reader when detached from the keyboard. It doubles as a word processor, black and white web browser, and more with a screen that is easy on the eyes. The device also supports an electromagnetic (EMR) pen, allowing users to scribble on the text. Onyx is marketing the Boox as the perfect tool for people who work on the move and need to type outside with minimal eye strain. The device will definitely also be useful for students and bookworms too! That being said, Onyx has to resolve the problems caused by the E Ink display. The incompatibility of E Ink’s extra slow refresh rate with the user’s fast typing is one such issue. Also the weight of the metal frame can be cumbersome too. Since Boox is only expected to launch until early 2018, here’s to hoping that Onyx uses the time they have to work out all the kinks!